The first phase of the battle within the BCCI seems to have ended with the IPL governing council appointing Chirayu Amin, an industrialist and head of the Baroda Cricket Association, as the league's interim chairman on Monday following the suspension of Lalit Modi late on Sunday night. After a day of silence, Modi surfaced late on Monday evening by saying he was still IPL chairman, though suspended, and announcing, ominously, "Wait - we have just begun." Amin's appointment was announced by BCCI president Shashank Manohar following a meeting in Mumbai; he also said that the board's chief administrative officer, Ratnakar Shetty, would look into the records and documents of the IPL. The former cricketers on the governing council - Sunil Gavaskar, MAK Pataudi and Ravi Shastri - have been entrusted with working out modalities of the 2011 auction, including a plan to for franchises to withhold three foreign and four local players, after consultations with the players, coaches and franchise officials. At an unusually lengthy press conference by his standards, Manohar fielded questions on the allegations against Modi and the accountability of the governing council and offered a glimpse of the way ahead. While he was fairly detailed in explaining the charges against Modi and the other shortcomings of the IPL, his defence of the inability of other members of the council to prevent this situation from developing was less convincing. "Shetty has been asked to look into the the records because many of the documents are missing. Every day the income-tax department is asking for records and we don't have them in our custody." Manohar said it was necessary to suspend Modi in order to hold a "free and fair enquiry". "Suspension is not a punishment - he [Modi] is kept away from the functioning of the board to ensure free and fair enquiry," he said. He said the governing council would need a month to complete all its tasks, since most of its members were unaware of what was happening until now. Modi's temporary successor, Amin, is a highly successful Vadodara-based industrialist, whose Alembic pharmaceuticals company lends its name to one of the city's three first-class cricket grounds. 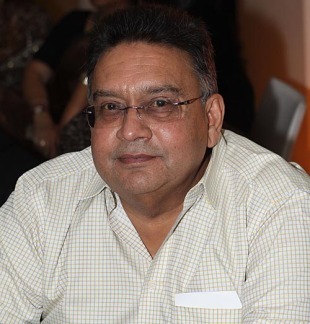 Currently a BCCI vice-president, he has been on the board for the past few years and has served on its marketing committee. "The immediate task is to clean-up the IPL. The game has just been concluded and so we will start planning for the next year. That is the priority right now," Amin was quoted as telling PTI. ""Modi has been given an opportunity to reply to all these things and we will wait till the reply comes. Once he replies then the Council will look at it and will decide on further action." The IPL governing council, minus its suspended chairman, met at the BCCI headquarters in Mumbai to discuss the issue of Modi, who was sent a charge sheet after the tournament's final, and the possibility of an IPL without him. Absent from the meeting were Modi and Farooq Abdullah, the president of the Jammu & Kashmir Cricket Association. Those present included Manohar, vice-president Arun Jaitley, secretary N Srinivasan, media and finance committee chairman Rajiv Shukla and IPL vice-chairman Niranjan Shah. The meeting started at 10 am, just a few hours after the BCCI sent Modi a show-cause notice, and a charge-sheet specifying the allegations, that capped two weeks of raging controversy over financial wrong-doings in IPL. Modi was asked by the BCCI to reply to the show-cause notice within 15 days.